Apple is preparing to launch Mac OS X Leopard Server later this year, the seventh major version of its Unix server product based on technology acquired from NeXT. Here's a look at where it came from, and how Steve Jobs intertwines with twenty years of server products at Apple. Somewhat ironically, while AppleShare was a forward thinking product pushed by Steve Jobs prior to his original departure from Apple in 1985, it was among the first legacy junk to get canned just over a decade later at his return to the company. After the 1984 Macintosh launch, Jobs led a crusade to push Macs into businesses. At the time, there was little strong competition. IBM’s OS/2 was still in development, and Microsoft’s Windows 3.0 wouldn't ship for another half decade. PCs were simplistic and rare efforts at networking were complex and difficult to configure. Jobs orchestrated a Macintosh Office ad campaign that included the infamous Lemmings Super Bowl ad shown in January 1985. 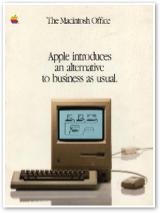 The campaign intended to position the Mac as the ultimate business tool. However, Mac sales had flattened after an impressive start, and Apple's board of directors was worried that Jobs was a loose cannon pushing technology that could not sustain sales. Apple’s revenues were still coming from the Apple II, and the Mac was struggling to establish itself. The board pushed Apple CEO John Sculley to contain Jobs so the company wouldn't be spread thin in random directions. The first deliverable of the Macintosh Office project was the LaserWriter printer with AppleTalk networking. It saved the Mac, establishing it as a useful tool for professionals and not just a graphical toy. 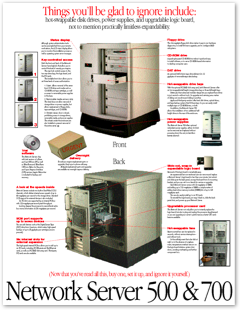 Other components of Macintosh Office included an AppleShare file server and the BigMac project, a personal Mac workstation system based upon a Unix foundation. Both ran into delays, and were a point of contention between Jobs and Sculley. Jobs continued to push for a Mac followup product to be based upon Unix rather than the basic appliance Mac System Software, which lacked the modern operating system features required in a workstation class product. In that direction, Apple had licensed Unix from AT&T; before the end of 1985 however, Jobs was pushed out of Apple and efforts to migrate the Mac onto a modern OS foundation were put on ice. •first in abandoning the BigMac component of the Office project, which Gassée called the "Macintosh Orifice." •second by killing a partnership with Unix workstation maker Apollo, already deep in development with Apple to license the Mac interface on top of its Unix-like Domain/OS. Gassée's cancelation left the already challenged Apollo scrambling, and it was later bought up by HP. 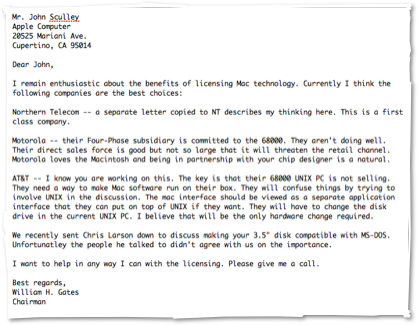 •third, Gassée snubbed AT&T, which wanted to license the Mac environment to run on its Unix systems. 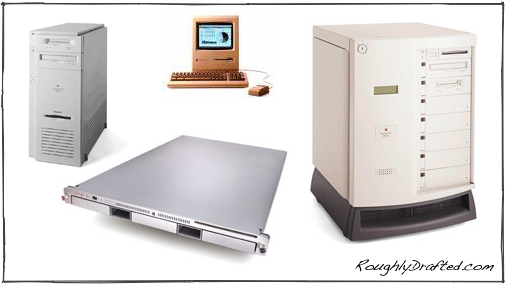 Having destroyed any prospect for modern Macs, Gassée unleashed his own Mac reenvisioned as a desktop PC: Macintosh II, and the AppleShare Mac file server. Both were powered by a slightly reheated old Mac System Software. In 1988, Apple released A/UX, its own Unix distribution for use on Macs as a high end alternative to the Mac System Software. 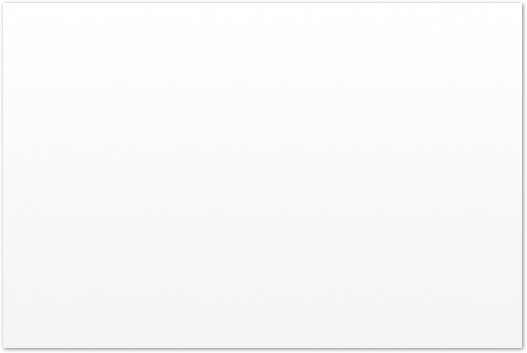 At the same time, Job's new NeXT had independently delivered the far more sophisticated NeXTSTEP with a Unix foundation; Apple didn't port its Mac System 7 environment to run on A/UX 3.0 until much later in 1992. Meanwhile, Gassée left Apple to start Be, his own version of the future: another box still lacking basic Unix features such as multiple users, and still in developer beta many years later in 1996. While at Apple, Sculley and Gassée began to experiment with how much they could charge Apple customers before they'd leave for the PC. After their departure, replacement CEO Michael Spindler fell asleep at the wheel while experimenting with how Apple could best be sold off as a technology portfolio. CEO Gil Amelio experimented with how many employees he could lay off without actually cutting any projects before the company would implode. Somehow, bits of Apple remained. Apple's A/UX was never ported to PowerPC, leaving Apple split between its poor selling, high-end ANS AIX-only machines and the more approachable but weak AppleShare product, still based on System 7. Apple not only needed a desktop OS, it desperately needed a server. While Apple made some efforts to port the Mac desktop environment to run on Unix workstations with MAE and MAS, it was too little and too late. There was also no real effort made to leverage either product in a server capacity. Job's pioneering efforts to market the desktop Mac as a sophisticated office product were completely dismantled and scuttled by Gassée. Belated efforts to move the Mac into business environments in the mid 90s using AppleShare on top of the now creaky Mac System 7 resulted in Apple’s products being regarded as a joke by the Enterprise. By the time Apple released the AIX-based ANS, nobody was looking for servers from Apple, and Mac users largely weren’t interested in managing a command line Unix box. Meanwhile, Jobs’ plans for a Unix-powered graphical workstation and a business class server had been delivered by NeXT. The following article will profile Apple's recent server products based upon technology it acquired from NeXT, and how Apple is reestablishing the Mac brand in the server market.